For two weeks, each year, the secluded forests of Elkmont is converted into a magical wonderland. Words can’t describe the experience, but let me try. As we venture into the forests, a light drizzle along with the cool breeze accompanies. Smokies as the name has it, brings in a rolling fog as the dusk sets in. After finding a remote spot by the trees and set the camera for a composition I liked, it was time to wait. Not long before the horizon begins to darken and the first of the fireflies beings to twinkle. Here a twinkle, there a twinkle and before you know it – everywhere a twinkle twinkle. The entire forest begins to glow, and then as if all lights are off, becomes pitch dark. After couple of seconds, the entire place is lit up once again. There fireflies surround you in its mythical glow. 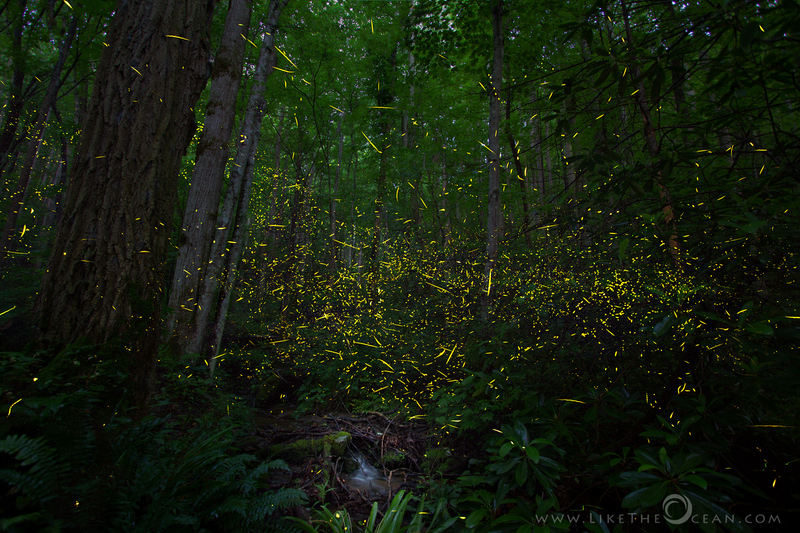 The thousands of lightning bugs gather in swarms and flash in harmony as the entire forest alternates between light and darkness. It truly becomes a magical wonderland. The show is all made possible – thanks to Photinus carolinus – or more commonly known as Synchronous fireflies. Unlike other fireflies, this species uses the synchronicity of the flashing, probably to attract it’s mate. Synchronous species of fireflies are very special—and they exist only in a handful of places throughout the world. Elkmont @ Smokies is one such place. Fireflies combine the chemical luciferin and oxygen with the enzyme luciferase in their lanterns (part of their abdomens) to make light. The light produced is referred to as a “cold” light, with nearly 100% of the energy given off as light. In contrast, the energy produced by an incandescent light bulb is approximately 10% light and 90% heat. So much for our human invention ! No one is sure why the fireflies flash synchronously. Competition between males might be one reason: they all want to be the first to flash. Or perhaps if the males all flash together so they have a better chance of being noticed. What ever be the reason – it indeed is magical & Here is my take on that magical experience. Hope you like the same as much as I enjoyed capturing it. Elkmont is Part of the Smoky National Park. Lottery : Starting this year (2016), NPS has introduces Lottery. You need to be on the look out @ the NPS Website and apply during registration period. If you are lucky and get selected, you would need to drive up to Sugarlands Visiter Center on the allocated date. Around 6:30 PM local time the trolley takes to the viewing area. The Trolley / shuttle runs thru 11:30 PM so you will have ample time to experience the fireflies. You can read more about the lottery here. Campground : Don’t lose heart , if you do not get the lottery. The next best thing (or actually an even better option) is to get a camp site at the Elkmont Campground. This gets you within a mile of the Elkmont Viewing area. Additionaly learnt, one more huge advantage is the you could hike up the entire trail to avoid the crowds, much beyond the set area for lottery viewing. Just make sure to carry the campground reservation. Be sure to follow the Fireflies Etiquette. Do remember you are visiting them in their natural habitat, not the other way around. Take every step need to ensure they are not disturbed. 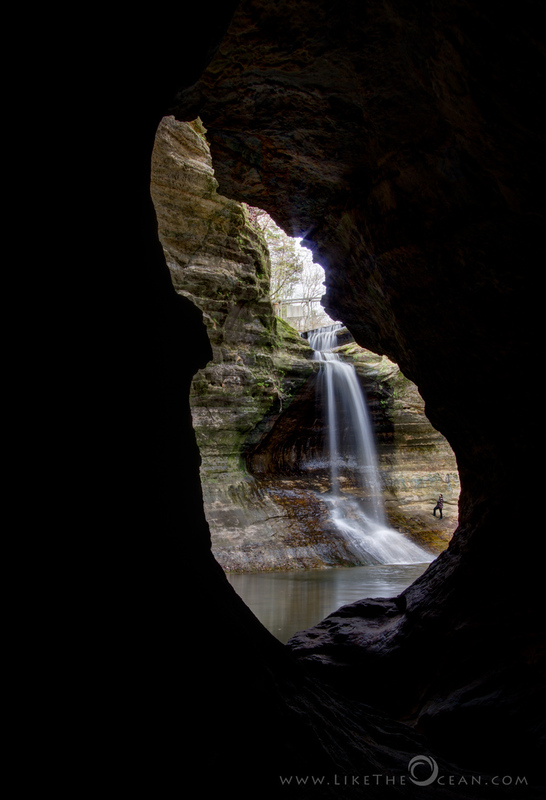 Illinois’ Starved Rock State Park is just south of I-80 about 90 miles west of Chicago near the town of LaSalle. Over the years streams have carved a number of small and interesting canyons into the sandstone. Seasonal waterfalls can be found all around these canyons, if you hike up just at the right time. 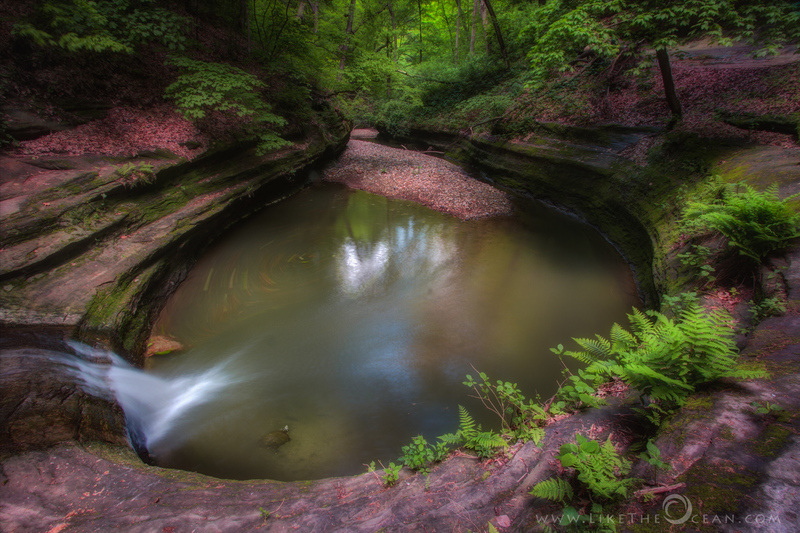 Matthiessen State Park is an Illinois state park located a few miles south of the more famous Starved Rock State Park. The main entrances to both parks are located on Illinois State Route 178. The park is centered around a stream that flows from Matthiessen Lake to the Vermilion River. This smaller park is often overlooked, being in the vicinity of the larger Starved Rock park. 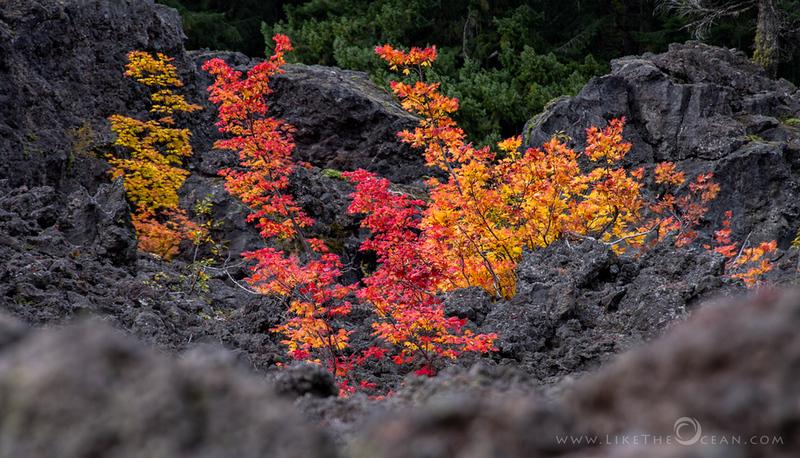 In the making for several thousand years, how do u like the fall colors juxtaposed amidst the rocky volcanic remains ? and the photographer goes – click ! 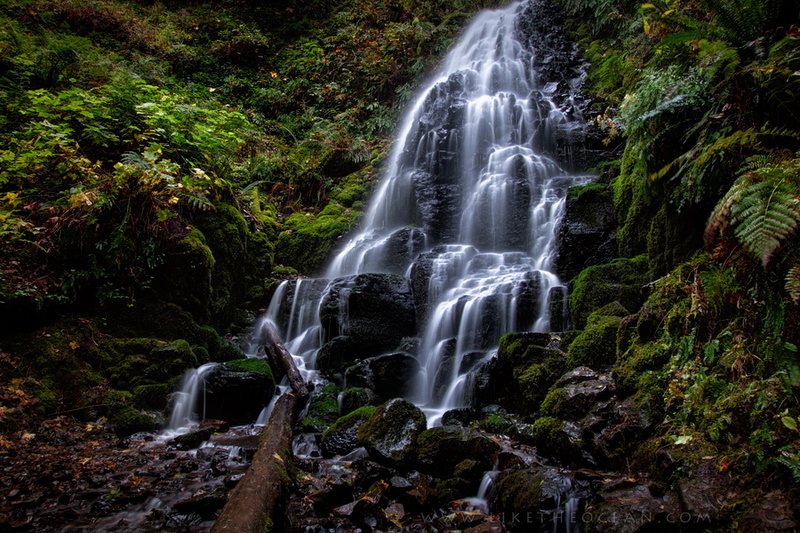 Fairy Falls is located at the Wahkeena Canyon area of the lovely Colombia George Wilderness. The trail starts with some beautiful stonework and a wooden bridge over Wahkeena Creek. The trail to the left leads to Multnomah Falls and the one to the right leads to the Fairy Falls and beyond. Wahkeena Falls and the overflowing creek might not be as popular as the near by Multnomah Falls, but let that not fool you. The Fairy falls is one of the much smaller falls in the George, but is brilliantly beautiful. Even at just 20 feet, the stepped formation creates such a dreamy flow. It is a wonder to watch and just get lost with. The varied light did pose a challenge, but after couple of tries was able to capture it to my satisfaction. It was such a serene place. If ur lucky you might end up having the place all for yourself, with no one around. I really liked the play of light thru the trees, what do you think ?! 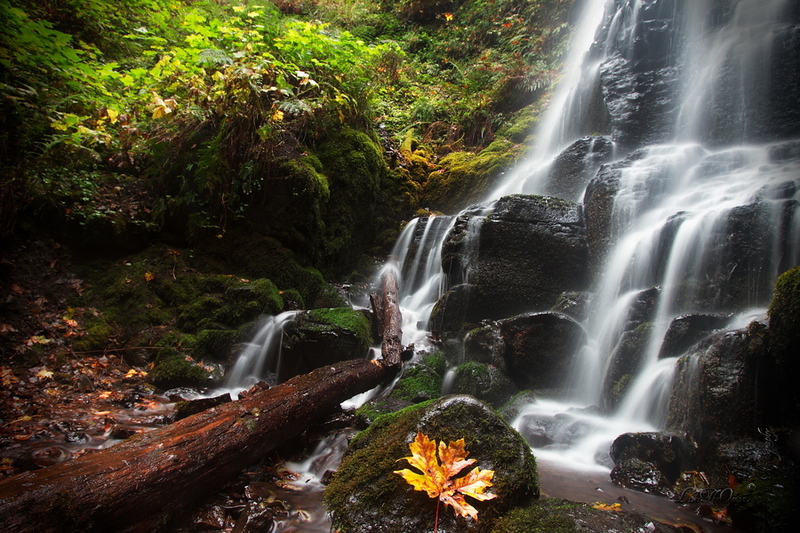 Fall season seems to be one of the best seasons to shoot waterfalls. The overcast days, just the right level of water, moderate temperatures that allow you to enjoy the hike up, the colors and leaves – all work in synergy. This week shot is from the Fairy falls from a late evening. The circular polarizer helped enhance the green & yellows, while the ND Filter helped capture the silky smooth water & the textures from the ferns and rocks. 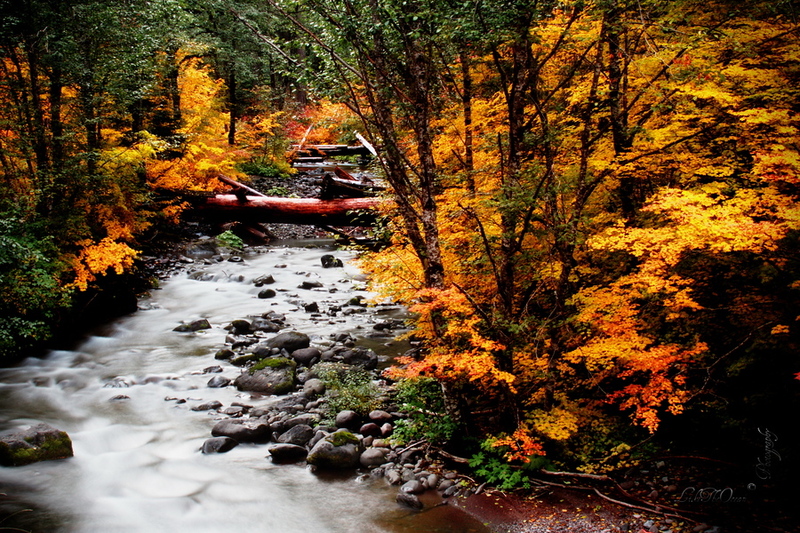 The pacific north west is not very well known for fall colors. 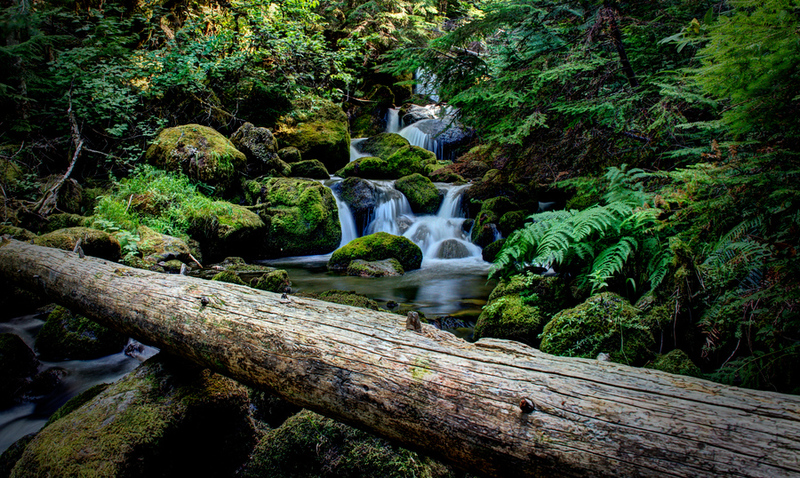 I feel there are some well guarded secret spots, located in the west cascades and the Willamette National forest areas of Oregon. 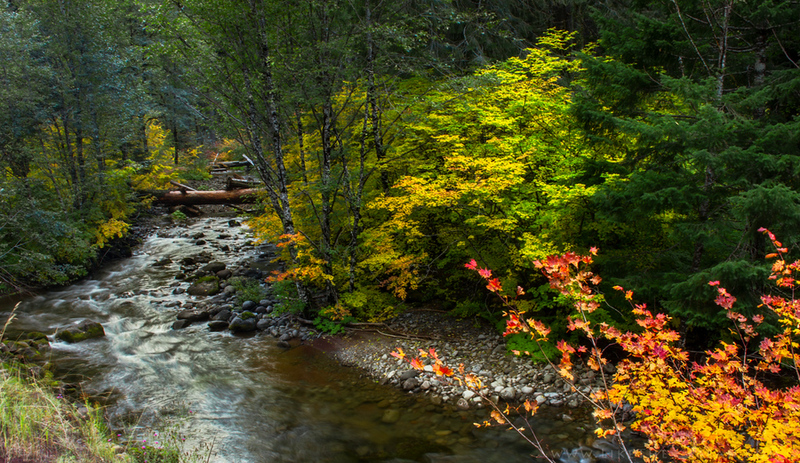 The scenic drive from Estacada into the cascades is an amazing place to start your fall tour. Highway 224 (Clackamas highway) is a pretty drive following the river. This weeks shot is a view, right from the highway. I couldn’t help myself but take a u-turn and get back to capture this shot, as the late afternoon sun dramatically lit the fall foliage. The 8 second exposure, thanks to the ND Grad filter, helped capture the flow of the water along with the amazing colors. For folks in the side of the world, experiencing fall – happy travelling and shooting, enjoy the fall as it lasts. And for those who don’t get to see fall colors first hand, welcome to enjoy the same thru the shots !! !